Recent Film Credits: "Appaloosa", "True Grit", "Jonah Hex"
Thank you for your interest in "Western Trooper Productions"! We specialize in providing quality saddles, tack, holsters, belts, and other authentic goods for the film industry.I have worked in the movie industry for over 15 years, so I understand the time facor involved with productions. I have a large selection of used gear on hand, or I can build what you need. Most items are available for both rental and purchase. 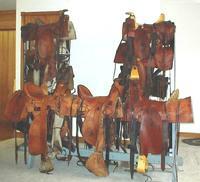 1960-1980's roping saddles did not exist in the 1870's. 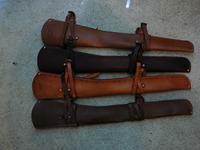 This is what saddles of that time period should look like! This page is under construction. More photos and information coming soon! !